We use only phosphorous-free, slow-release, granular fertilizers. They break down slowly over a longer period of time, feeding your grass continually and reducing a surge in growth commonly associated with liquid applications. 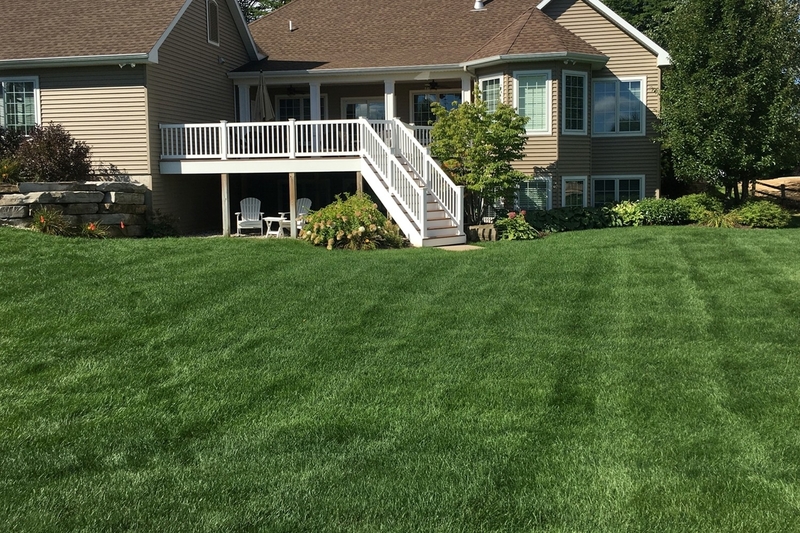 Professional fertilizer application with long-lasting results will make your West Michigan home the envy of the neighbors. 2 FREE perimeter pest control applications when new customers sign up for the 5-Step Fertilizer Program. *Some restrictions may apply. New fertilizer customers only. Total of 4 PPC treatments recommend per year. * New customers receive 2 perimeter pest control treatments for free. 4 treatments are recommended per year. *Free Grub Prevention for life, just remain an active customer. *Other restrictions may apply, offer subject to change. Weeds, crabgrass and grubs can negatively impact the health and appearance of your lawn. We utilize an IPM (integrated pest management) strategy to minimize the effects of pests on your lawn. Our applications are targeted specifically toward each pest in order to avoid impacting the many beneficial organisms in your lawn. 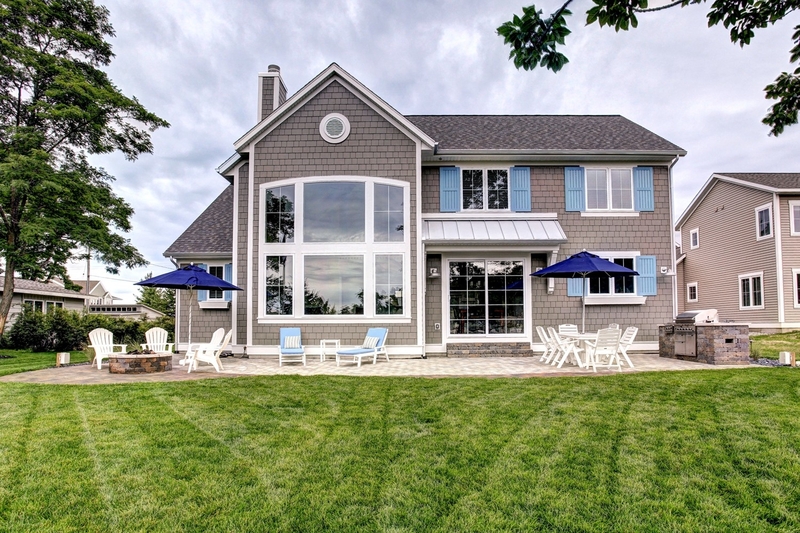 Our company employs only licensed technicians and provides continued education in order to provide our customers with the best possible chance in obtaining that picture perfect lawn. A properly fertilized lawn is essential in maintaining a healthy turf stand. At ProMow, we use only phosphorous-free, slow-release, granular fertilizers on your lawn. Slow release fertilizers break down slowly over a longer period of time feeding your grass continually and reducing a surge in growth commonly associated with liquid applications. Properly timed fertilizing and weed control for your lawn can be the difference between an average lawn and a picture perfect lawn. We wait until soil temperatures are at or around 50 degrees before we put down our crabgrass pre-emergent to ensure a successful application. Temperature and precipitation are considered when making our applications. If conditions are unfavorable we will reschedule our service. How would you like your lawn to look like an athletic field? And no, we don’t mean with all of the divots and chunks ripped out after a game–we mean the pristine, lush, green grass you see before a game. Imagine seeing that when you look out of your front window! Just think of the barbecues you could have on that lawn, the fireworks you could watch, and the pride you could feel as people turn their heads to get a better look at it as they pass by. Imagine digging your toes into it, or your children playing in it on a warm summer day. We use the same blend of fertilizer for your lawn as we do on our athletic fields. Its green and weed-free all season long! 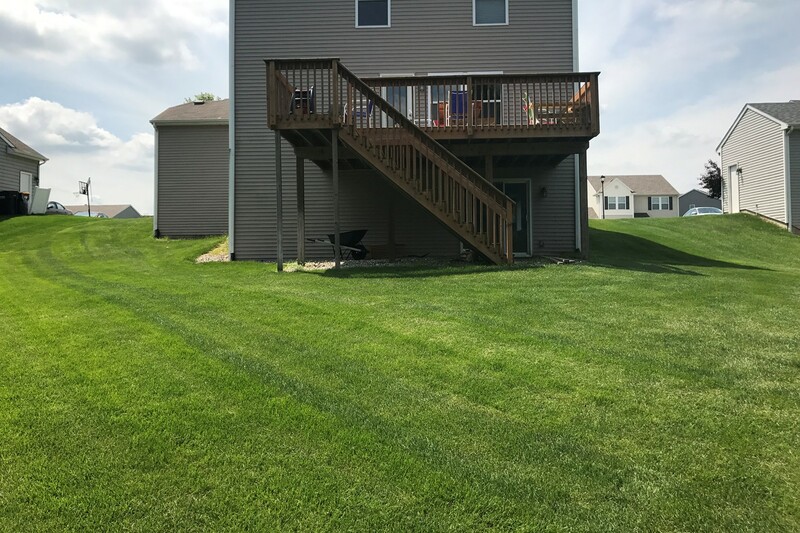 Let Pro-Mow take care of your lawn and with these five steps, you’ll have one of the lushest lawns in Grand Rapids! 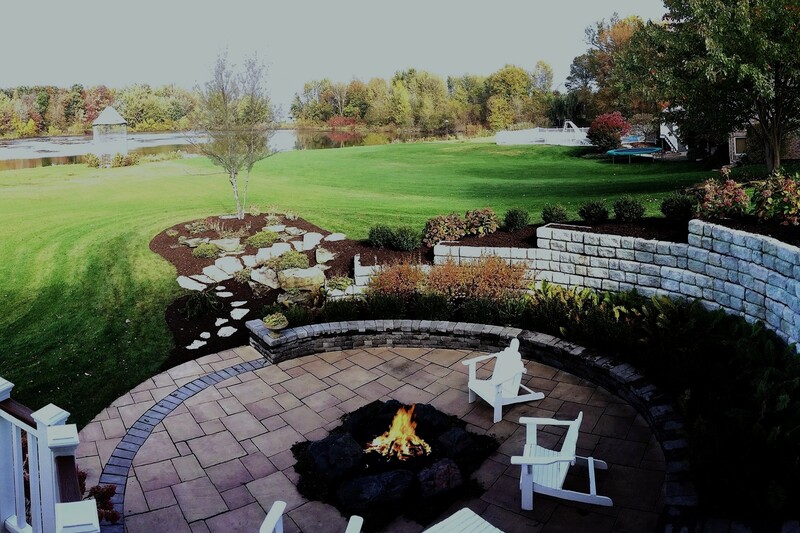 You can have that dream lawn, and here’s how our professional fertilizer service delivers! Slow-release, granular fertilizer with crabgrass pre-emergent. Slow-release, granular fertilizer with liquid, broadleaf weed control. Slow-release fertilizer with broadleaf weed control and free grub prevention for the life of service. All-mineral fertilizer to prepare the lawn for winter. “They are a family business and do a fine job. Recommend.” – Joe C.